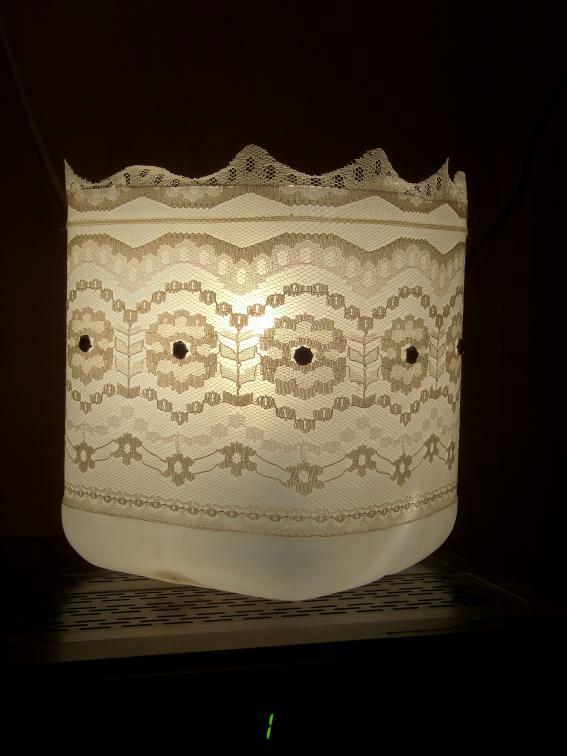 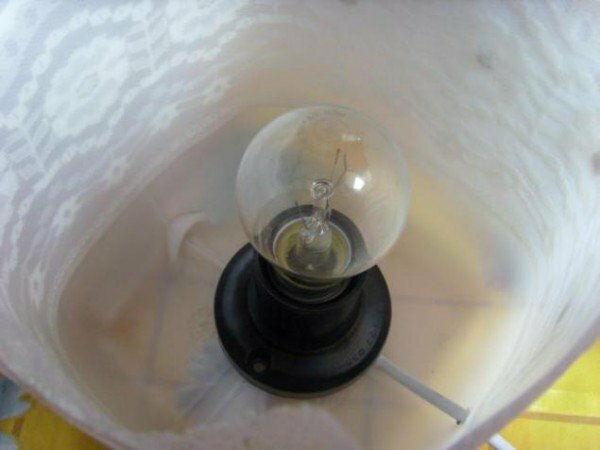 This Lace Lamp from Plastic Bottle is easy to make and pretty to add vintage decoration for home. 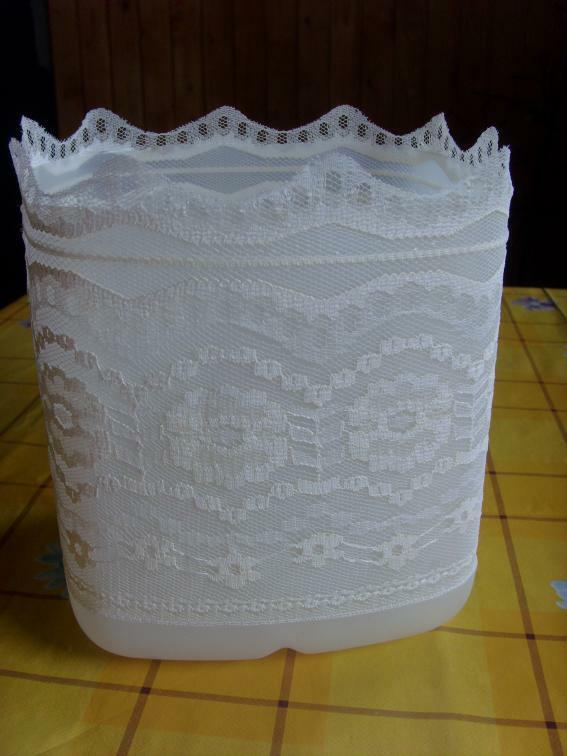 All we need is to recycle milk jug/water jug, cut and glue the lace around the plastic. 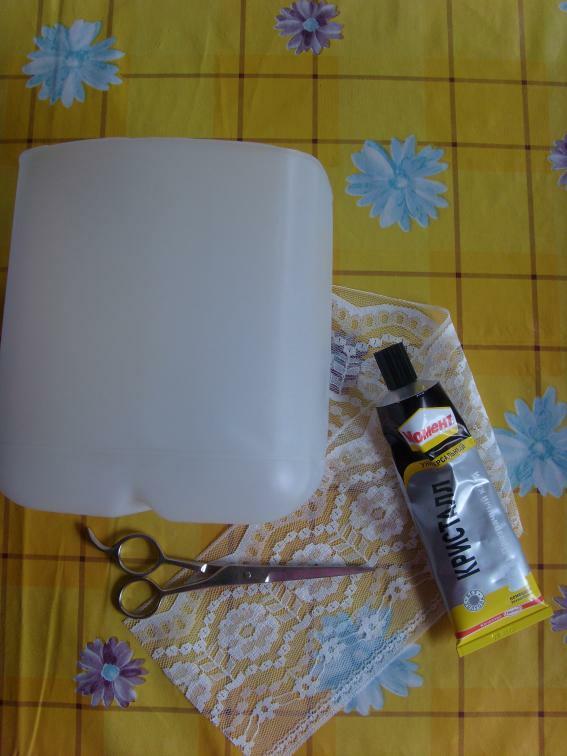 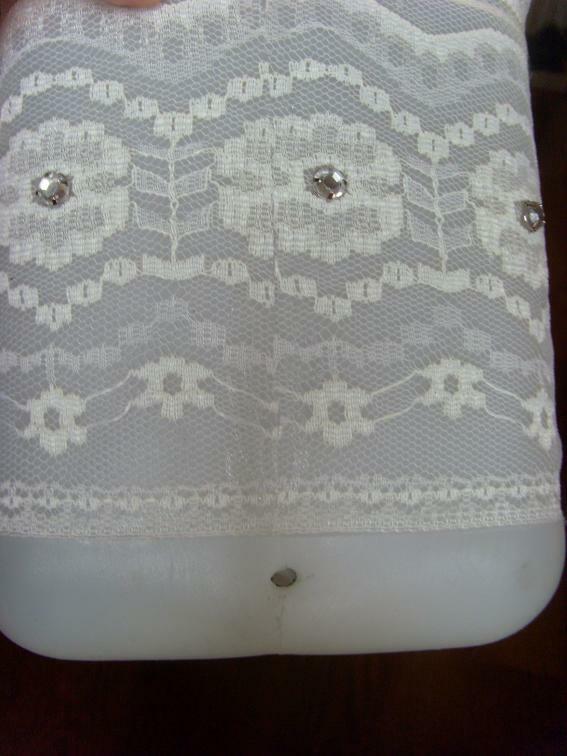 Cut off the top part of plastic bottle and glue the lace around the plastic bottle. 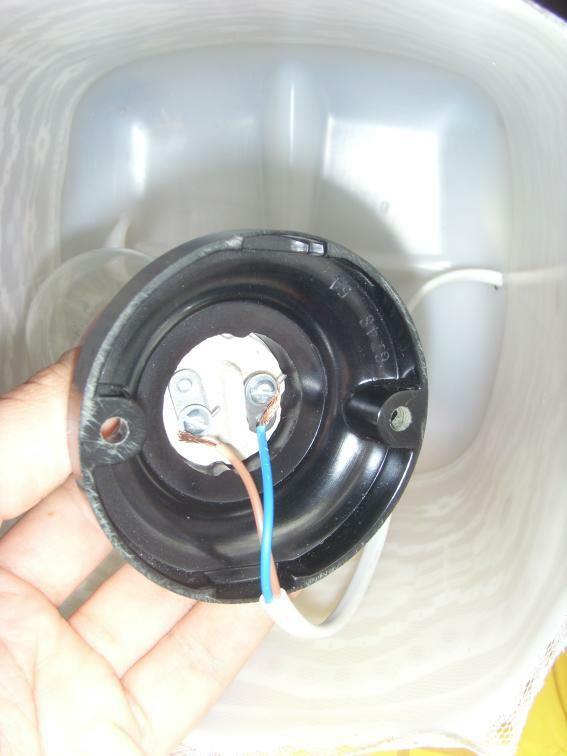 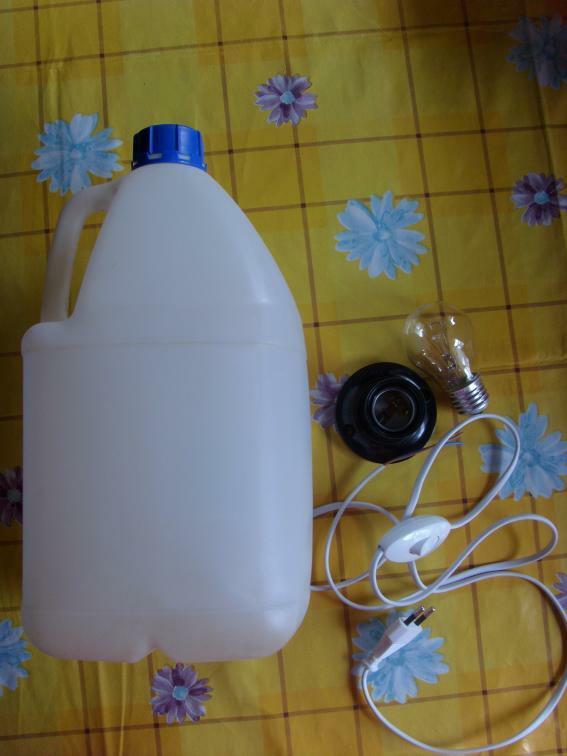 Drill a hole at bottom side of the plastic bottle, pull the electrical wire through. 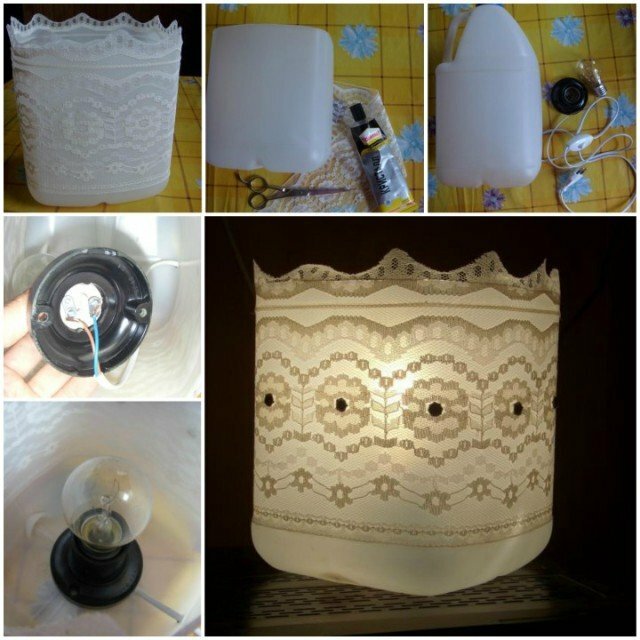 Assemble the light bulb and voila. 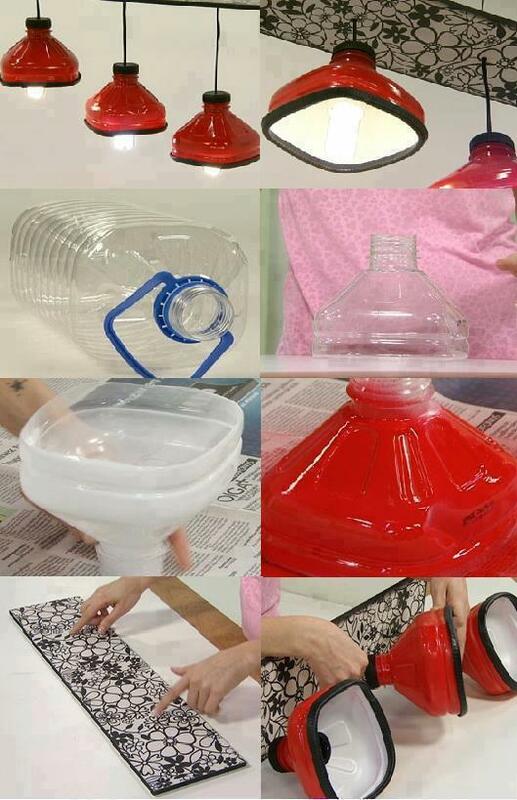 Even the top part of the plastic bottle you cut off, you can plant and use it as lamp shade.